Fifteen years ago this week, on June 16, 1995, Batman Forever was released in theatres. Directed by Joel Schumacher, and starring Val Kilmer as the title character, the film was, quite frankly, a huge stinker. Not only did it attempt to introduce a new actor playing Batman (Michael Keaton had left after two films, as had director Tim Burton), it also sought to introduce a new sidekick, a new love interest, two new villains, and a number of minor characters (including those played by Debi Mazar and Drew Barrymore). This was certainly the beginning of the end for this version of the franchise, and the far worse Batman & Robin would doom it for good in 1997. 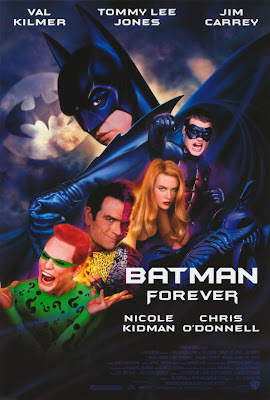 I tried to rent Batman Forever and watch it again on this anniversary, but I just couldn't do it. I really tried, though. Can I have some credit for that, at least? The Schumacher Batman era is valuable mostly as it led to the end of the a particular brand of superhero comic adaptation - that of the generation of directors and writers who thought it a bit embarrassing to do any reviewing of the source material they were adapting. We can all personally thank Alicia Silverstone for being so awful in "Batman & Robin" that she personally took a part in ending this line of thinking. 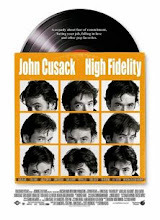 I do remember that I liked something in this movie, but I'll be dipped if I can remember what it was. Maybe the Batmobile design?